Turnagain Marine takes pride in our cutting-edge marine equipment, specifically designed for severe conditions and remote operations. We employ state-of-the-art drilling equipment, designed to drill through a vast array of soil types and rock conditions. 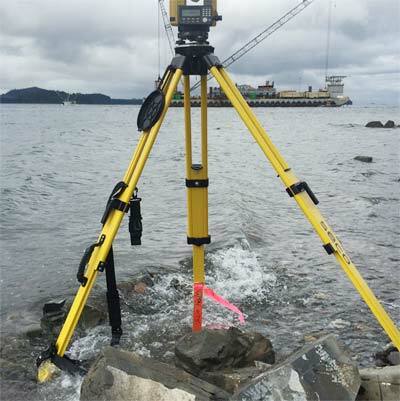 Though in use in Norway for several years, we are the first U.S. contractor on the West Coast to invest in this new technology. 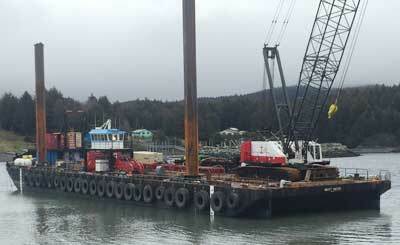 Our primary barge, the Brightwater, is a 280’ x 76’ ABS barge with a 350 ton ringer crane on deck. 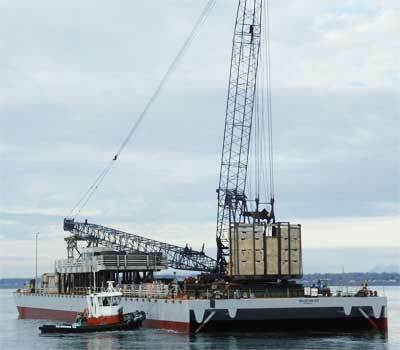 The ringer crane has ten times more capacity than a 225 ton crawler at 100 feet. We hold station in extreme conditions, with 52” x 100’ long steel spuds and a heavy duty six point mooring system. With our state of the art drilling system, we can socket piles from 8” to 48” in diameter. We maintain a suite of pile driving hammers and drilling equipment to meet the varying demands of marine construction.